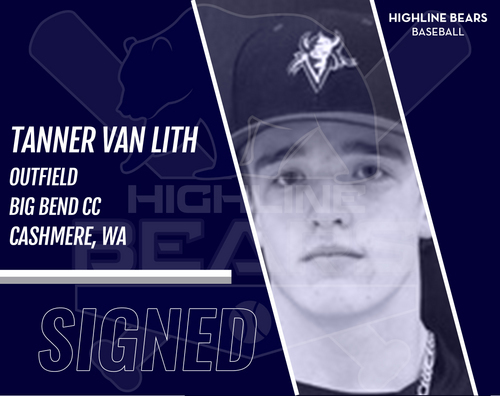 Tanner Van Lith will begin his first season with the Highline Bears after finishing his freshman year with Big Bend Community College. He will join his collegiate teammate pitcher Trey Evans and future teammate pitcher Colin Cortez. Van Lith was one of the top-rated third basemen in the state of Washington according to Perfect Game.